As a former bank employee who once handled mortgages, Tracie Walker wasn’t too eager to revisit her own home loan. “I had always avoided refinancing, because it can be such an unpleasant experience,” says Tracie, of Brandon. 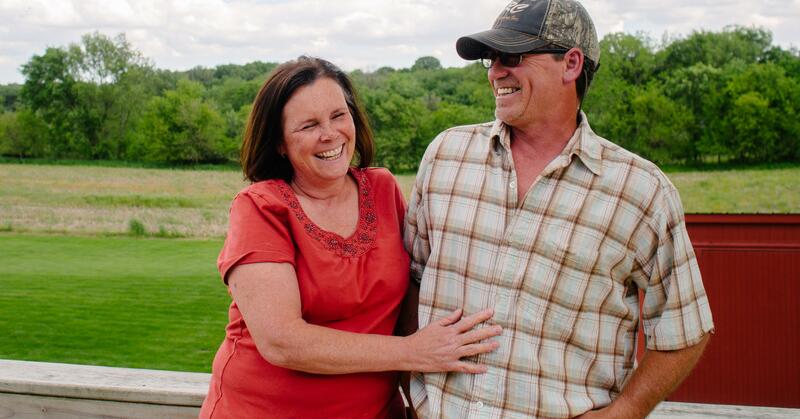 Then she heard radio advertisements featuring Dupaco Community Credit Union members who were once in the same predicament she and her husband, Jim, were facing. In need of payment relief from both their mortgage and credit card debt, the Walkers decided to give Dupaco a try. And they’re thankful they did. The Walkers met with Erin Bubenyak, a mortgage/consumer lending consultant at Dupaco’s Williams Boulevard branch in Cedar Rapids. Not only did Bubenyak help the Walkers refinance their mortgage, but she also helped them pay off a vehicle, refinance another auto loan and consolidate a majority of their credit card debt with a home equity line of credit. It was a Money Makeover that saved the Walkers more than $580 in monthly payments. The Walkers have since made Dupaco their primary financial institution—and have inspired two family members to make financial changes too. “They recently moved from a large bank to a credit union, in part because of the good things I said about Dupaco,” Tracie says.